Width 24 ft. 8 in. First Floor 9 ft. 8 in. Need a detached garage for car or boat storage? 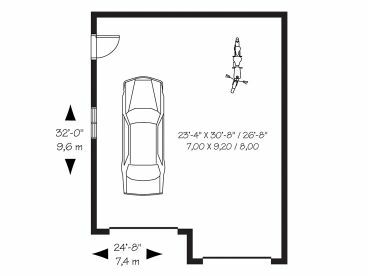 Take a look at this stylish two-car garage. 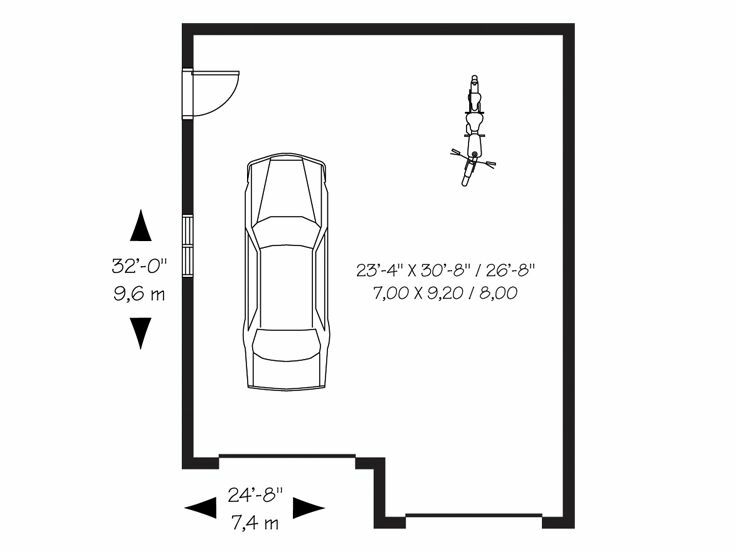 Two overhead doors open to the 741 square foot parking area. One bay is extra deep easily accommodating a boat. 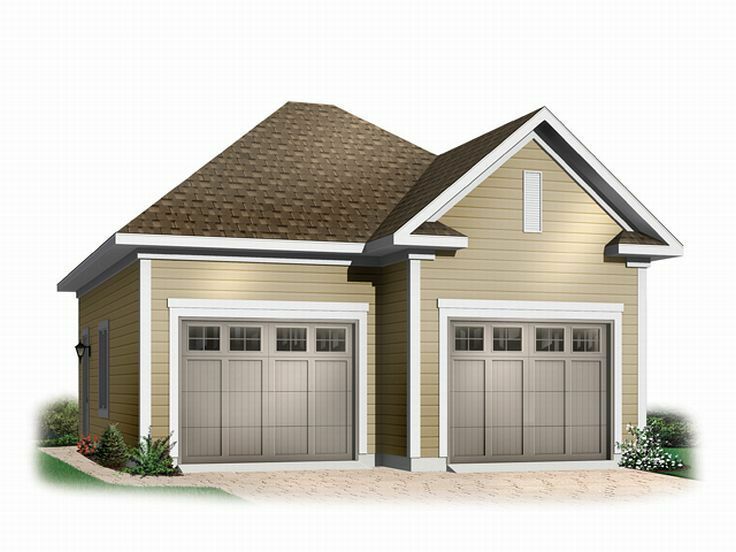 Complement your home and backyard with this charming garage plan with boat storage.